Honda has introduced a sporty version of the Jazz which gets racier styling, revised suspension and overhauled steering to provide a more engaging drive. It’s priced from £14,550 and Honda is offering it with competitive finance packages. The Jazz Si is based on the 1.4-litre ES trim level, but comes with new sports bumpers, side skirts, 16-inch alloy wheels, privacy glass, foglights and Si branding. The suspension has been overhauled, with new dampers and a larger anti-roll bar to improve cornering stability. These improvements are complemented by revised power steering, tuned for improved feedback. The Jazz Si retains the useful practicality seen in other Jazz models though, with a spacious and versatile cabin. Interior features include a leather steering wheel, black and silver seats and standard cruise control. Additionally an Si-T model is offered which includes sat-nav and Bluetooth. While the Jazz might seem an unlikely base for a sporty model it’s not so in Japan where the Fit, as it’s called there, is offered with a 1.5-litre VTEC engine and four-wheel drive. 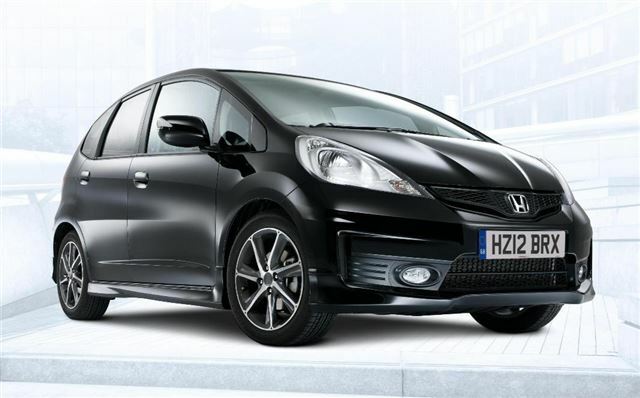 The UK model Jazz Si is available now, priced at £14,550. The Si-T model is priced at £15,545.